Has your Windows 7 operating system been upgraded to Windows 7 Service Pack 1 ( abbr: SP1) ? If the answer is “not yet”, then you should not download those language packs because they are for Windows 7 SP1. To download language packs for Windows 7 RTM, please read: Windows 7 Language Packs (RTM MUI, Direct Download Links from Windows Update). 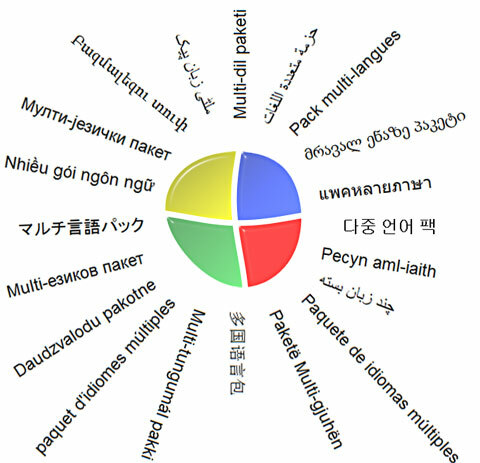 The Multilingual User Interface (MUI) language packs for Windows 7 SP1 have been released by Microsoft at February 22, 2011 (Reference:KB2483139). Here are the official direct download links for Windows 7 SP1 MUI language packs, you can use them for changing Windows display language. How to use Windows 7 SP1 MUI Language Packs?